Apple's iPod 4th Generation is the first full-size iPod with a click wheel. One of the most common parts to repair is the display. You can replace it easily with our repair guide. Broken iPod 4th gen baffling you? Check out our troubleshooting guide for assistance! 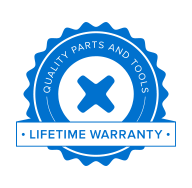 We offer parts to fix just about any problem you may have!